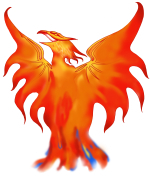 Phoenix has Annual Meetings every year, usually in February. There is always a short business meeting to take care of anything that's been brought up, along with whatever special events have been planned for that year. The links in the menu give information about past meetings.